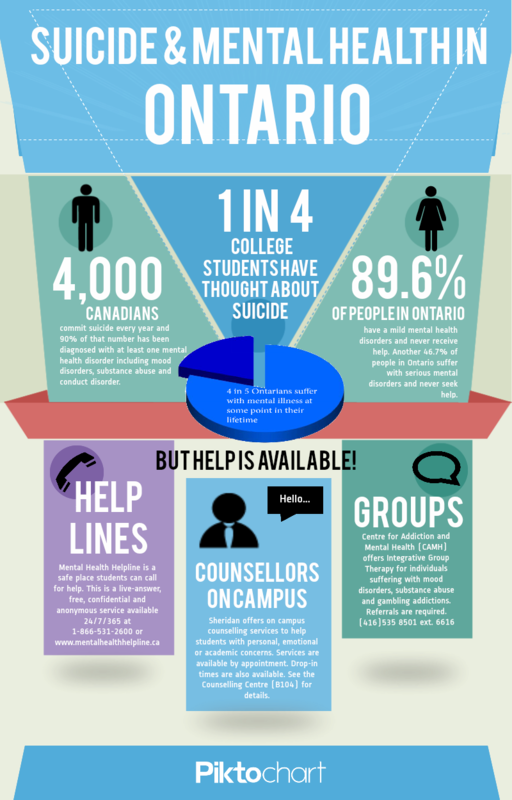 Studies show thousands of people throughout Ontario suffer with mental illness and one in four post-secondary students have considered suicide as a way out. Below is an infographic that outlines how heavily mental health disorders weigh in on the lives of individuals throughout the province and the resources available to those in need. 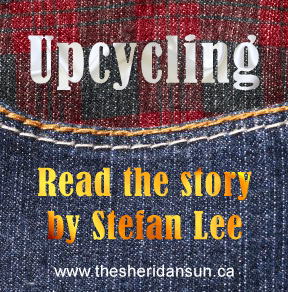 To check out Sheridan’s counselling services click here. To chat with a professional counsellor through the Mental Health Helpline, click here. To explore the Centre for Addiction and Mental Health (CAMH) website click here. Added by Stef on September 10, 2013.